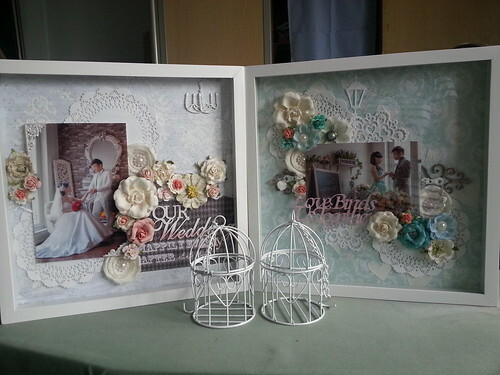 Made these 2 shadow boxes as my wedding gifts for him. 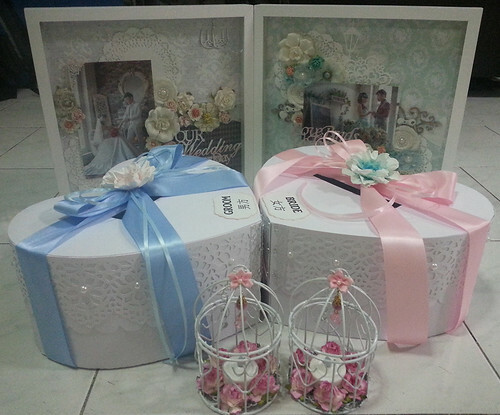 Hope he and his bride will love them. 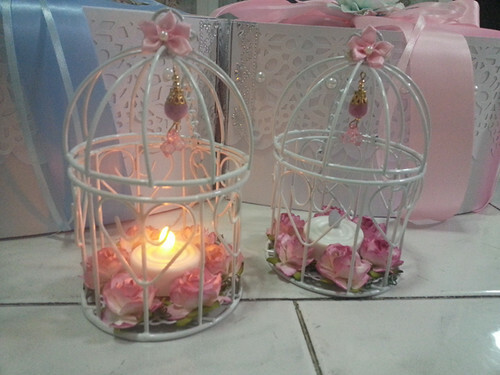 Here you can see the undecorated birdcages that I got from a local shop, Daiso. Made wedding red packet boxes for his guests to drop in their love gift. Made the box from scratch by using my Silhouette Cameo to cut out papers, then trace over thin and thick chipboards/cardboards and assemble together. Added pearls and crystal trim. Made the big flowers from scratch with Bazzil cardstocks and distress inks and flower punches. Love my brother. Pray that God will bless him and his bride as they walk hand in hand together towards their future ahead. Thanks for dropping by. Have fun creating! !